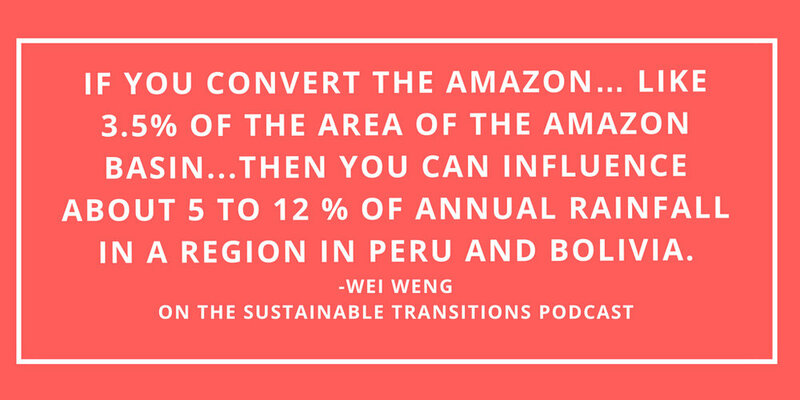 Today’s podcast is with Wei Weng, a PhD student at the Humboldt University and the Potsdam Institute for Climate Impact Research. I talk to Wei about how she first got interested in studying aerial rivers. She explains what the difference is between aerial rivers and moisture recycling, why she focuses on the Amazon, and how she goes about studying aerial rivers and moisture recycling. We also examine which areas are the most sensitive to upwind land use changes and why understanding aerial rivers is important. Weng, Wei, et al. "Aerial and surface rivers: downwind impacts on water availability from land use changes in Amazonia." Hydrology and Earth System Sciences 22.1 (2018): 911-927. Weng, Wei, et al. "Understanding moisture recycling for atmospheric river management in Amazonian communities." EGU General Assembly Conference Abstracts. Vol. 19. 2017.